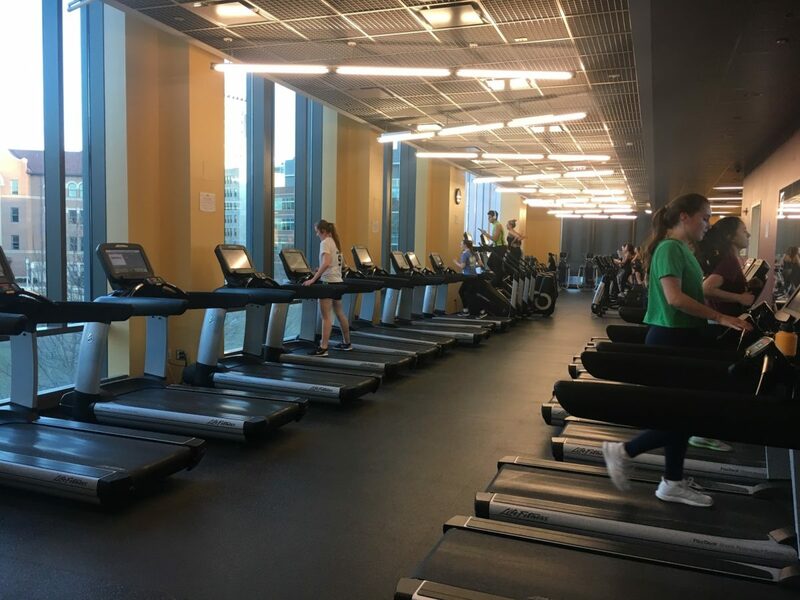 Baylee Corona | The PHOENIX Loyola staff and faculty have the chance to take on other Jesuit universities in the Go Move Fitness Challenge, which runs throughout the month of February. In its second year of participation, Loyola University of Chicago ranks No. 7 out of 23 universities competing in the online Go Move Fitness Challenge, a fitness competition among the faculty and staff of U.S. Jesuit universities. This year Loyola had 217 participants and more than 111,000 minutes of movement, as of Feb. 26. Last year, Loyola ranked No. 5 of 20 universities, with 362 participants and 295,000 minutes of movement. The sixth annual competition ran throughout the month of February, and faculty and staff recorded their minutes of movement to determine which Jesuit institution is the most active. This challenge is “a way for employees from across the country to connect, work towards a common goal of moving more, and implementing healthy habits into their daily routines,” according to the University of San Francisco’s website. Suzanne Kisylia, the University of San Francisco’s wellness program manager, has been involved with facilitating the Go Move Challenge since its onset, when the University of San Francisco and Santa Clara University competed in the first annual Go Move Challenge. “We started off with two [universities] … the goal is get all 28 Jesuit schools participating [in the challenge]. 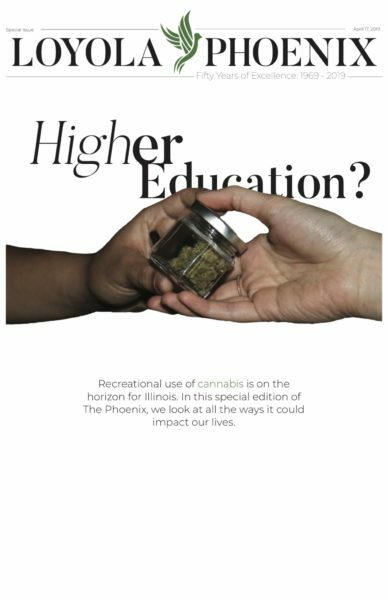 It’s really to connect our universities and this is a great way to do it, by having a common goal of moving more,” Kisylia said. She also mentioned the Go Move Facebook page, where faculty and staff from different universities can post pictures and videos of their exercises. The page is another way for colleagues to connect, to see what other universities are posting and to interact with each other through the comment section. Go Move defines movement as “any intentional exercise that causes at least a small increase in breathing or heart rate,” which includes cardio, weightlifting, yoga, sports and other kinds of strength or fitness training. Currently, Loyola Marymount University is in first place with 533 participants and a total of 380,000 minutes of movement. While universities such as Gonzaga University in Washington and St. Peter’s University in New Jersey are beating Loyola University Chicago by more than 22,000 minutes, Loyola is ahead of Marquette University in Wisconsin and Fordham University in New York by more than 10,000 minutes. Once a university registers and commits to participating in the Go Move Challenge, its logo will appear on the website’s home page where participants can view events and other information about their university’s progress. Participants must use their valid university email to create an account on the website. Once they have an account, they can track and log their minutes online. When participants log their minutes of movement, they must indicate the university they are affiliated with, the type of exercise they’re doing and the duration of that exercise. The challenge has expanded over the last six years, with faculty and staff from eight Jesuit universities accumulating more than two million minutes of exercise collectively in February 2016. This year, 23 of the 28 U.S. Jesuit universities are taking part in the challenge. According to Kisylia, the two prizes awarded to the winners of the competition are bragging rights and a traveling plaque with the university’s name and the amount of minutes they logged. The plaque was used as an award for the first time last year due to the different sizes and circumstances of the various universities. Shannon Yeager, the assistant director for Loyola’s Adult and Transfer Center, is one of Loyola’s 217 challenge participants. Yeager walks to and from work every day, which is about two miles collectively, and logs her hours through the Go Move Website. The Loyola faculty member said it was fun to compete against other universities and to see how they were doing in the challenge. She hopes to see more people get involved in the challenge next year so Loyola can win. Nicole Calaustro, an exercise science major who works at the Halas Sports and Recreation Center, said since the challenge started Feb. 1, she has seen more faculty and staff purchase Halas gym memberships. Jenny Wojcik, a sophomore nursing major who also works at Halas, said this challenge would be good for Loyola faculty and staff because they would be more likely to continue a regular exercise routine after the challenge ended. “[The challenge] is a month and habits take a month to form, so this could kickstart good exercise habits and healthier eating,” Wojcik said. Samantha Nondahl, another nursing student working at Halas, said “a lot of staff come [into Halas]” and the competition of the challenge could push them to work out more. “If I were thinking of participating [in the challenge], competing against the other students would get me to do it,” the junior said. Cindy Lopez, a first-year psychology and philosophy double major, said this challenge would be a “healthy release of stress and bad energy” for professors with a stressful workload. Lopez suggested Loyola host a competitive workshop or activity to raise awareness for the challenge, since she had never heard of it. Christopher Goueti, a first-year computer science major, said he would love to see more professors competing and participating in sports on campus, and this challenge could be a step in the right direction.